Jeff Keady and Jonny Craig are pastors at Dover Church in Orange City, Iowa. They met in a seminary class in June of 2010 and have been friends since. Jeff has been in ministry for more than 27 years in churches ranging from 25 to 700. Jonny joined Jeff in ministry in 2012. Jeff grew up in New York, and has spent the last twenty years in just two churches. He has served as a solo pastor, assistant pastor, youth pastor, associate pastor, and senior pastor (every position requires some part time janitorial responsibilities!) Jeff has been married to Debbie for over 30 years. They have four children (three sons and a daughter) and a growing list of in-laws. Jonny grew up in Iowa, and as a pastor’s kid he has been on the ministry scene his entire life. He is Jeff’s associate pastor with wide ranging responsibilities including youth, college, preaching, and of course, some janitorial responsibilities! Jonny has been married to Kayla for almost 9 years and they also have four children–three sons and a daughter. Jeff and Jonny are passionate about encouraging pastors in small and smaller churches and are encouraged to be connecting with many of them across the country. 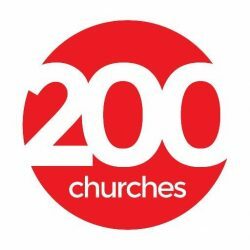 Their goal is to create an online network of 200church pastors who will support and encourage one another.